One Off Limited Edition, Glitter in the Vinyl!! 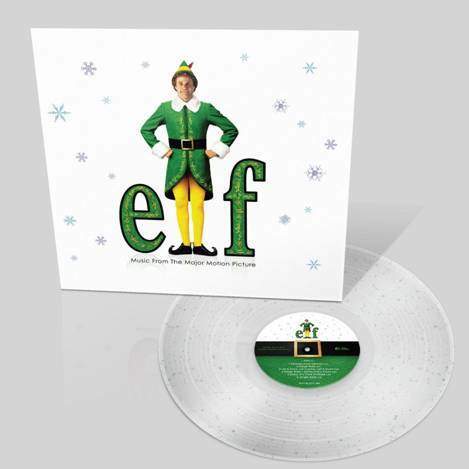 The 2003 Christmas comedy Elf has become a staple of the festive season and what better to find wrapped up under the tree with your name on it than a copy of the soundtrack? It’s packed full of seasonal cheer: Leon Redbone’s gravelly baritone voice is instantly recognisable on “Christmas Island” and “Winter Wonderland”, and his duet with Elf star Zooey Deschanel on the standard “Baby Its Cold Outside” positively glows with Yuletide warmth. Former Stray Cat star Brian Setzer created his own big band guitar-led sound and “Nutcracker Suite” captures it perfectly, while Ella Fitzgerald performs quite simply one of the best interpretations ever of the perennial song, “Sleigh Ride”.